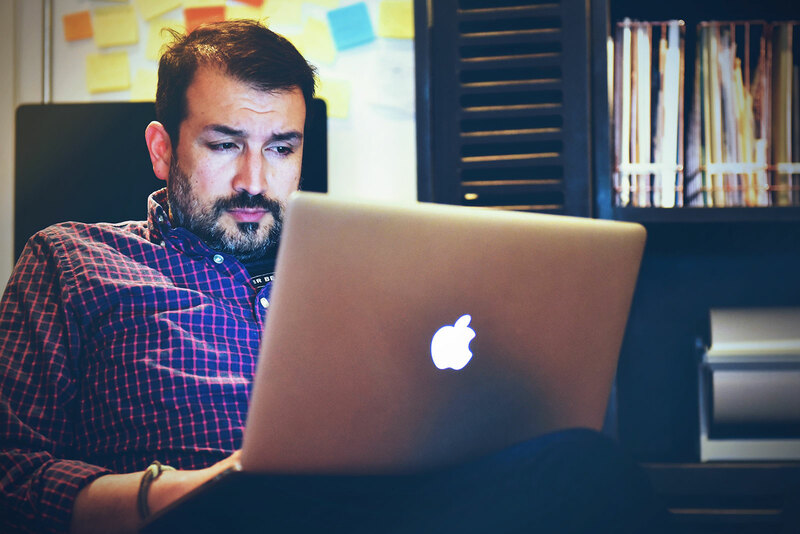 Service has always been a core component to our philosophy as a creative agency. 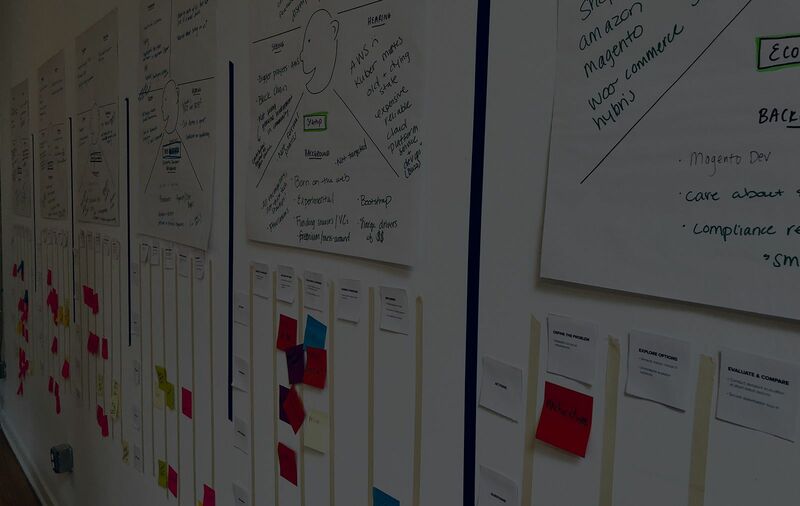 Philanthropy has led us to develop relationships with some of the largest and most influential nonprofits in the area. We believe it helps to put life in perspective while also helping to reinforce our relationship with the City of Philadelphia. Our last volunteering effort, we spent half a day at Philabundance helping organize their massive food inventory. This year, we decided to do something different and spent our afternoon at MANNA’s headquarters in Fairmount. 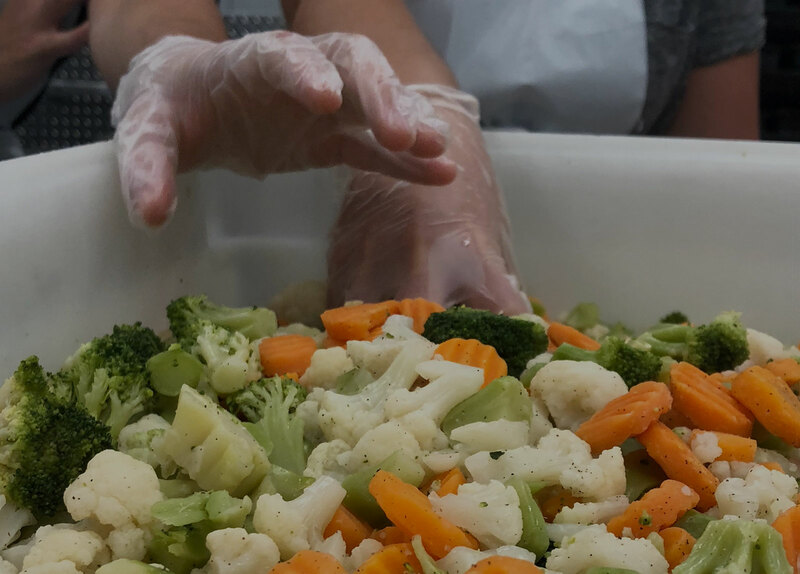 Rather than sorting and organizing food, this time, we were preparing and packaging food bound for people in need. 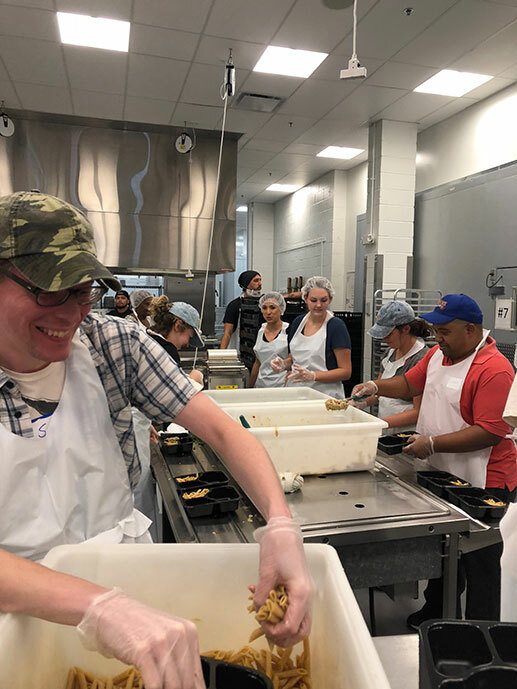 MANNA, which stands for Metropolitan Area Neighborhood Nutrition Alliance, has been operating since 1990 with a noble mission to serve meals to sick individuals. Now, that mission has since evolved greatly over the last 28 years, transitioning into a renowned non-profit that utilizes the power of nutrition to improve the health of people with serious illnesses. They have a fleet of refrigerated delivery trucks, a research arm, and a network of over 6,000 volunteers. But, perhaps, the most impressive representation of MANNA’s growth is its new facilities. Opening in late 2015, offices and conferences rooms line the corners of the building with a massive commercial kitchen serving as the buildings epicenter. Tons of open space, and floor to ceiling windows create an atmosphere akin to a tech company. So much so that when our team arrived, it was all we could talk about; it was that impressive. The expansion now allows MANNA to more than double its capacity all while serving more people than ever before. We were greeted by a host of MANNA employees and other volunteers showing us to our lockers, handing us name tags. 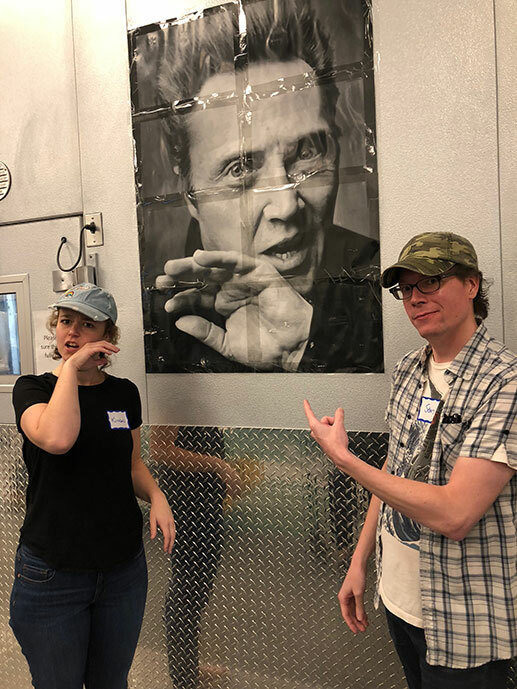 After watching a brief tutorial video detailing the history of the organization, we were escorted into the kitchen – complete with essentials such as walk-in freezers, washing stations, conveyor belts and of course, a beautiful image of Christopher Walken accompanied by even better impersonations. Well, that last part is up for debate. Ten minutes later after exhausting all Walken quotes, we got to work. The majority of us taking control of the production line, while a few stragglers helped sort boxes ready to go out for delivery. 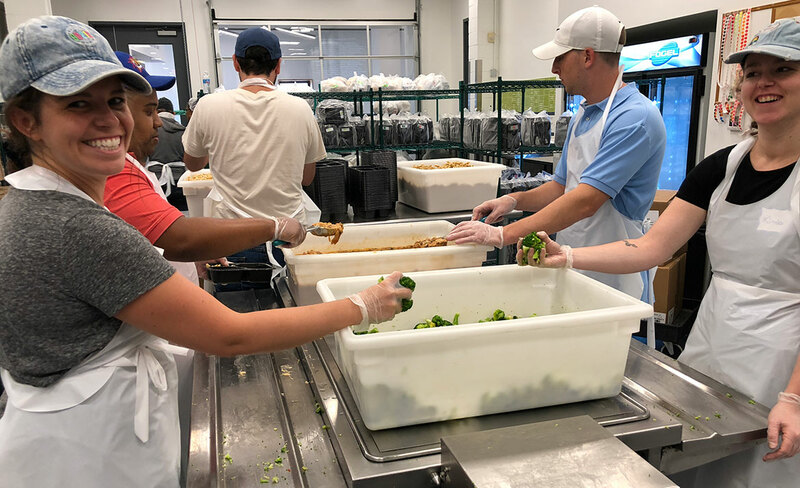 Over the course of the afternoon, we prepped and packaged hundreds of meals typically consisting of chicken, a pasta or carb and an assortment of fresh veggies. Each combination, meticulously crafted by a team of nutritionists and chefs to treat a wide variety of illnesses and all delivered at no cost to the client. All in all, we prepared nearly 500 meals and had our fair share of laughs to go along with it! We can’t thank the wonderful staff at MANNA enough for accommodating us and we hope to be back soon!